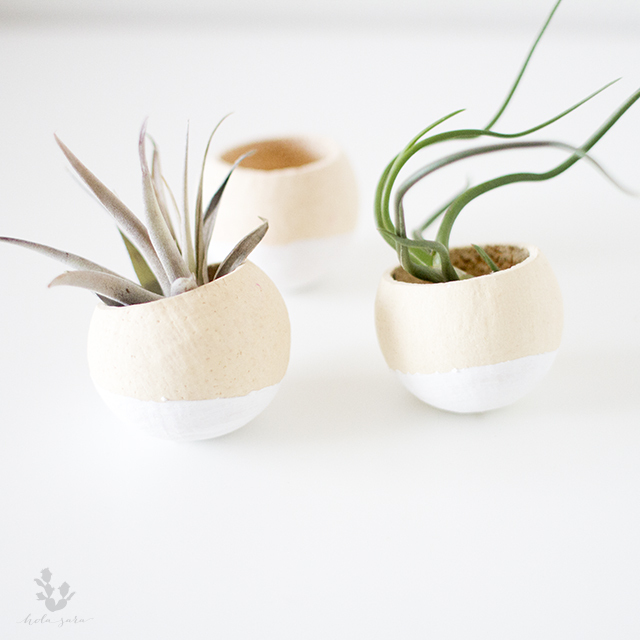 I love love love air plants and bell cups are the perfect holder for these tiny plants. 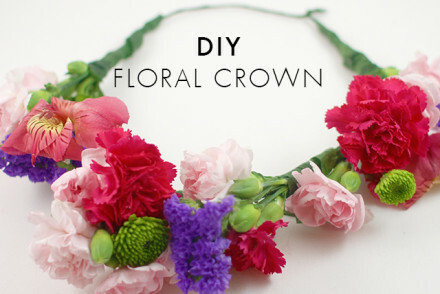 This DIY is a perfect non-traditional Mother’s Day gift. 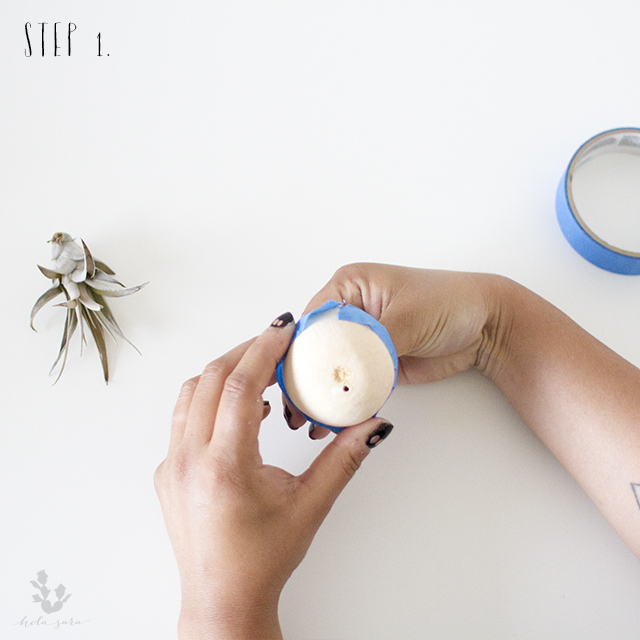 I know not all mommas like flowers — this project is for them. 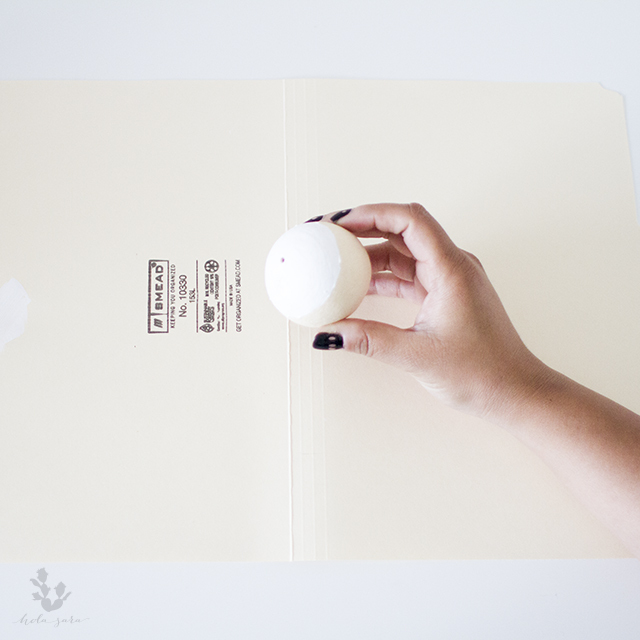 For this project, I chose to keep it minimal and monochromatic. 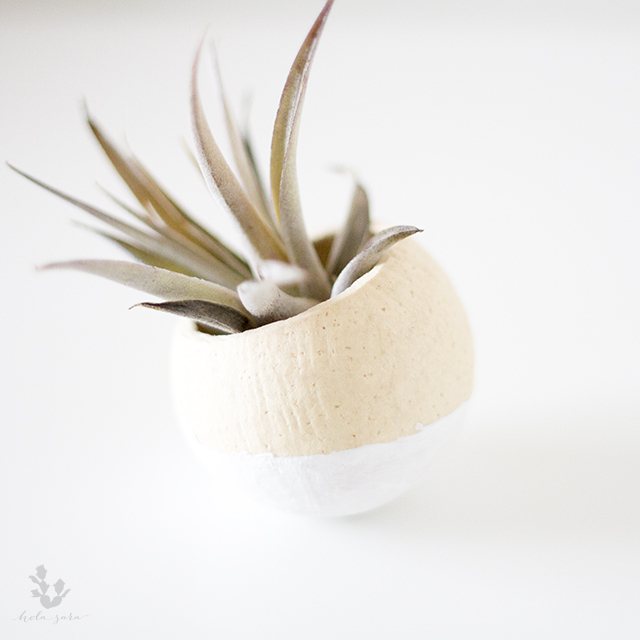 Whether you make this for your mom, home or office this planter is a perfect way to exhibit your air plant. 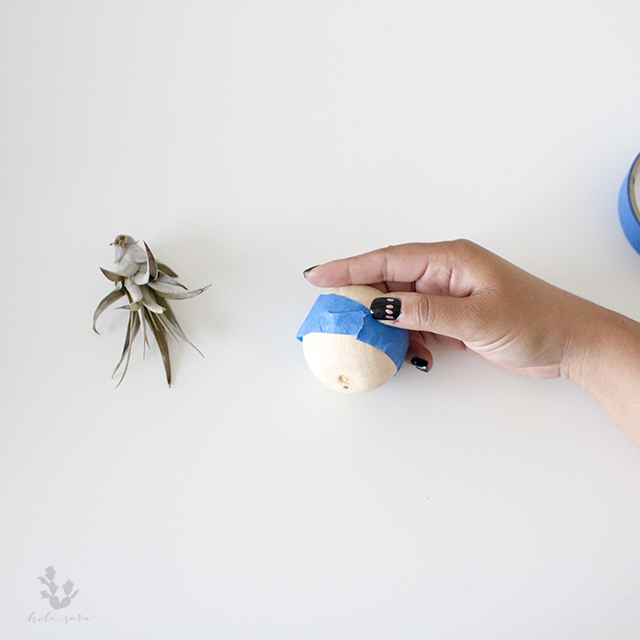 Take the painter’s tape and wrap it around the bell cup. 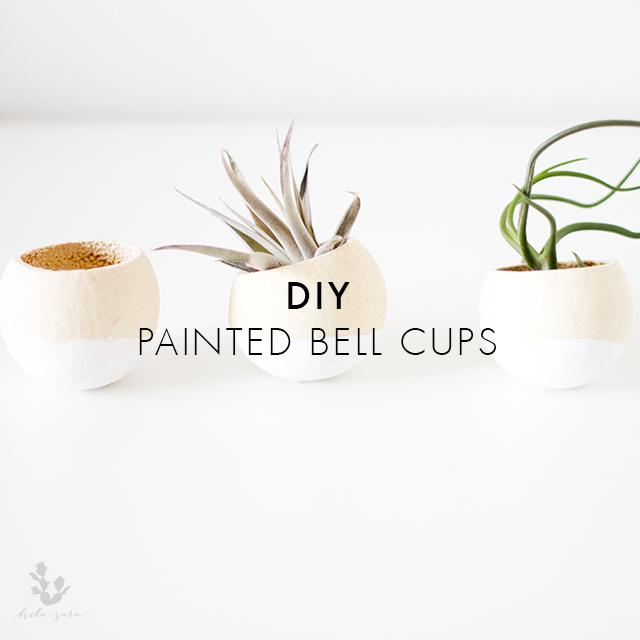 You can purchase bell cups online or at your local flower mart. 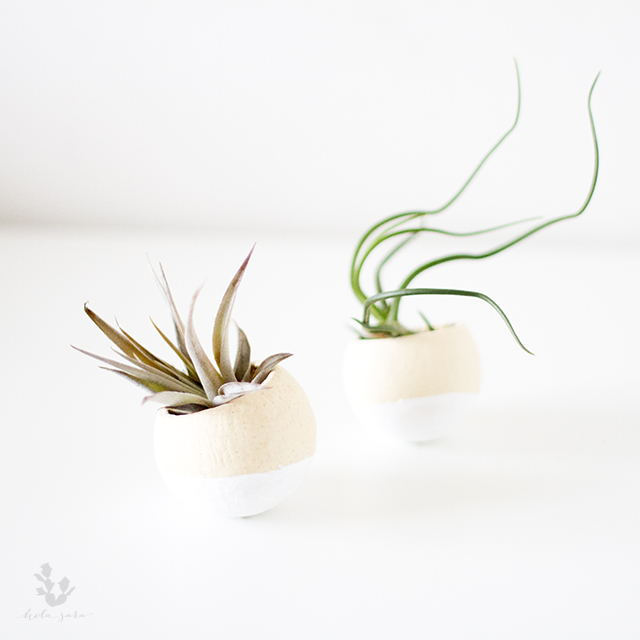 I bought my air plants and bell cups from Wasabi Green, a vendor at the Los Angeles Flower Market. 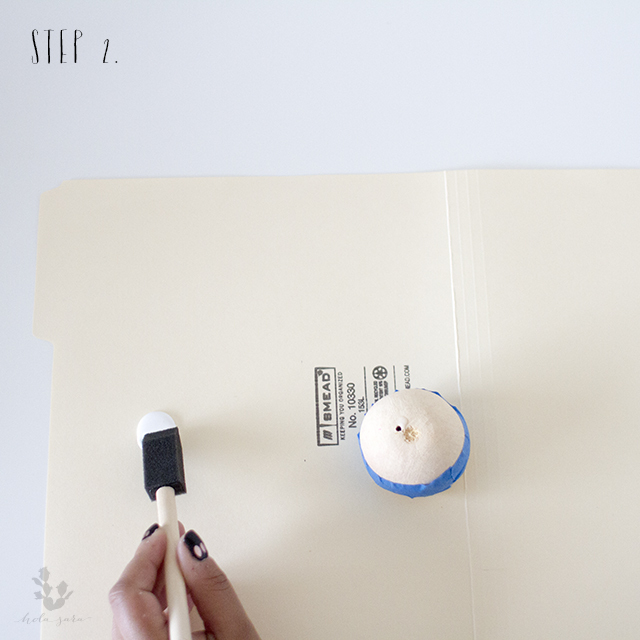 Use your manilla file folder as your workspace to catch any paint. 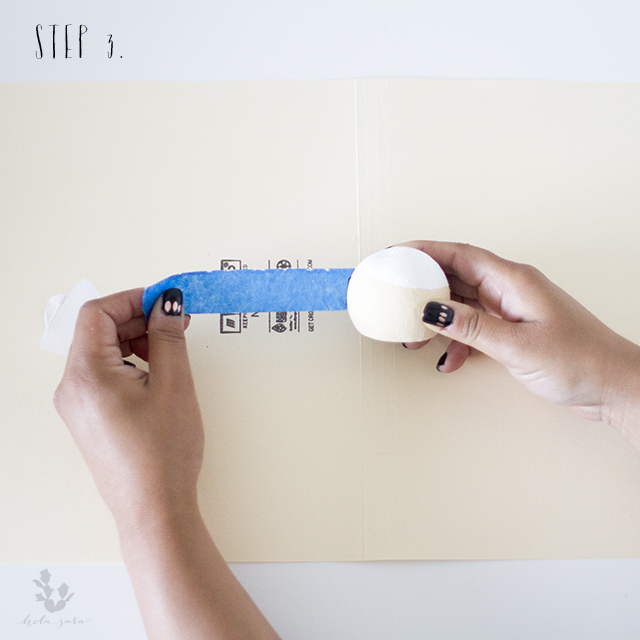 With the sponge brush paint, the area you didn’t mask out with painters’ tape. If you are using different colors, clean your brush thoroughly before using the other color or have separate brushes for each. Since I choose a single color I used a single brush. 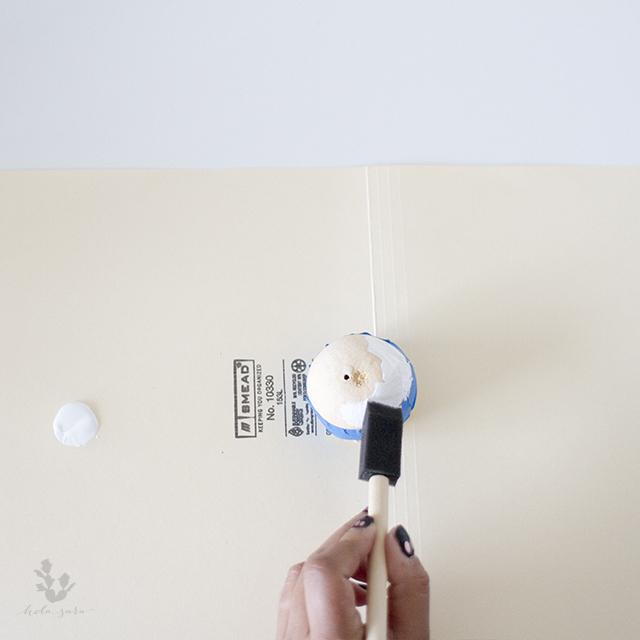 Let the acrylic paint dry completely before removing the painter’s tape. I waited 2 hours for my acrylic to dry, your drying time could be shorter or longer than mine. 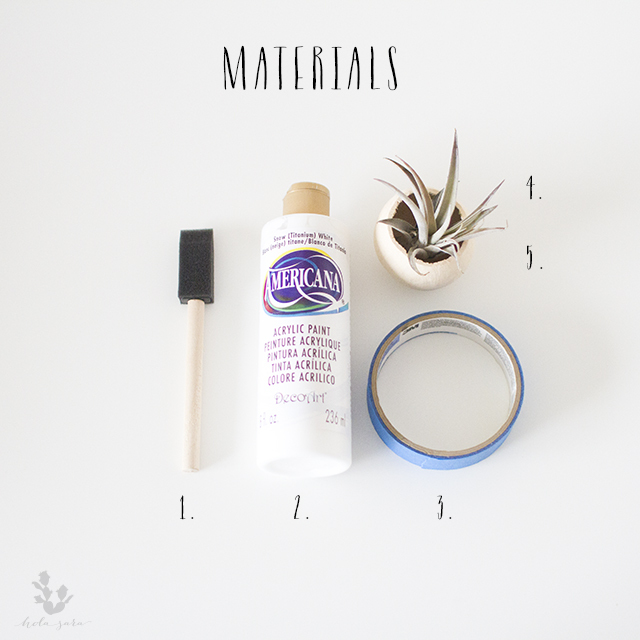 Check your acrylic paint label for exact drying time. 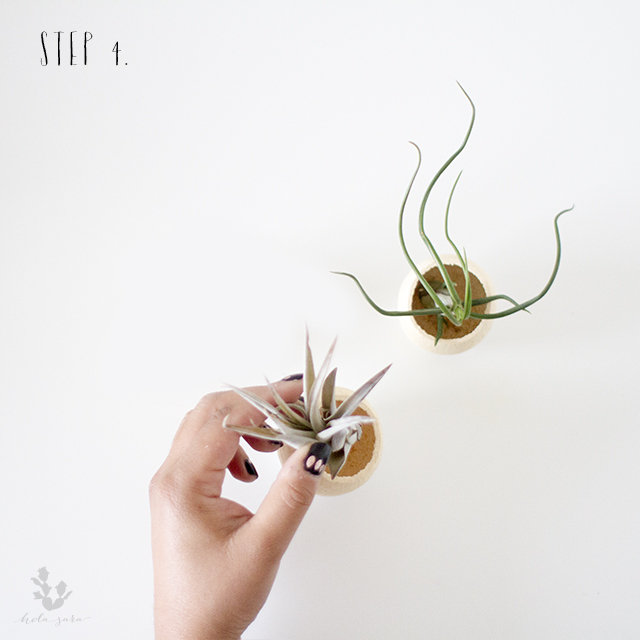 Insert desired air plant! 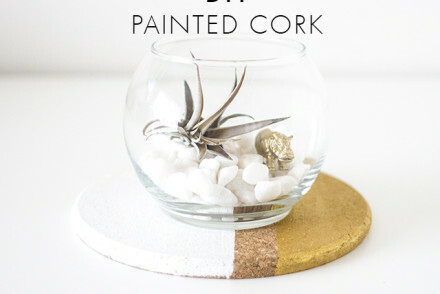 That’s it, so easy and it will brighten up any space. 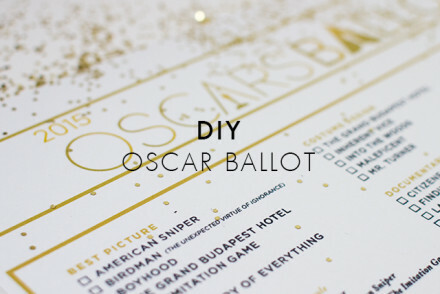 Get creative and don’t forget to tag #mymadebyholasara on social media! I’d love see what you have come up with.